Enclosure of the commons under the 1824 Act of Parliament transformed the landscape of Sutton Coldfield. In addition to the many miles of public roads set out across the commons with geometrical precision, there were also 29 private roads. Some of these were short driveways giving access to old farmland across a stretch of newly enclosed land - the present pathway between Jockey Road and Braemar Road is marked on the Enclosure Map as private road no. XXVII - but others were of considerable length - modern Blackberry Lane and Edge Hill Road began life as private roads nos. II and III. Working out how to divide up the commons between all those entitled to a plot was complicated, but by 1829 the Commissioner had produced his schedule of 840 plots of land of various sizes, marked out in red on the Corn Rent map. The new owners could then set about the expensive process of bringing the infertile ground into cultivation by draining, deep ploughing and hedging, but many of them first entered into negotiations to change their plot by exchanging it for someone else’s. The Warden and Society of Sutton had been allotted over two hundred acres in 12 sections, subdivided into 64plots, some of them very small. A subcommittee was appointed to deal with enclosure matters, meeting six times in June 1829 and fortnightly thereafter for the next two years. Most of the business of these meetings concerned the many proposed exchanges, several of them helping to concentrate the Warden and Society allotments in the Hillwood area, but many exchanges related to property which was nothing to do with the commons, for example the Warden and Society gave up some land to the Grammar School in exchange for the old schoolmaster’s house next to the churchyard, and the Enclosure Commissioner was empowered to ratify. At their meeting on November twentieth 1829 the committee asked Solomon Smith to send in his bill for fencing “the various plecks (tiny fields) he hath enclosed for the corporation”. At the same meeting Johnson of Lichfield was to be written to “requesting his immediately sending to the Keepers 50,000 of three-year-old quick (hawthorns) at £1 per thousand as also 150 each of oaks and English elms and 50 birch trees.” These had been received by Christmas, and then on June fourth 1830 Beard, one of the park keepers, was set to work “posting and railing the large allotments and making the banks” under the supervision of Swift the head keeper, to be paid for by the rood, that is, for each length of five and a half yards. The Warden and Society was still under the eye of the Court of Chancery for previous mismanagement of funds, so the surveyor was asked to estimate the total cost of “ditching draining and fencing of the allotments on Hill Common”; his estimate was £4,105, so the Court was asked to release this amount. 50,000 hawthorns were enough for nearly twenty miles of hedge, but taken together all the hedges round all the fields measured about two hundred miles, hawthorn being the preferred species at the time. Many of the owners planted a timber tree every fifteen yards or so in the new hedgerows, perhaps thinking they would contribute to future battleships for the navy. 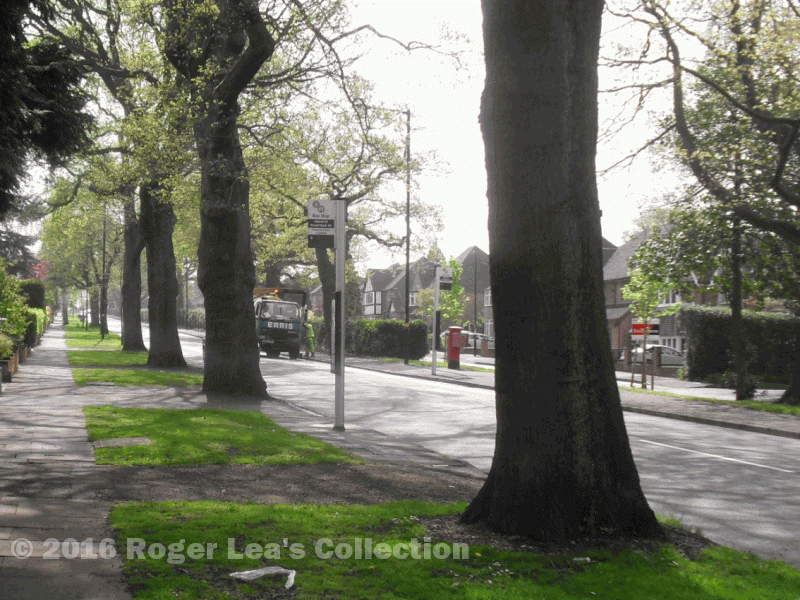 Many of these enclosure oak trees can still be seen alongside Sutton roads, but the elms all disappeared in the 1960s, victims of the Dutch Elm Disease. 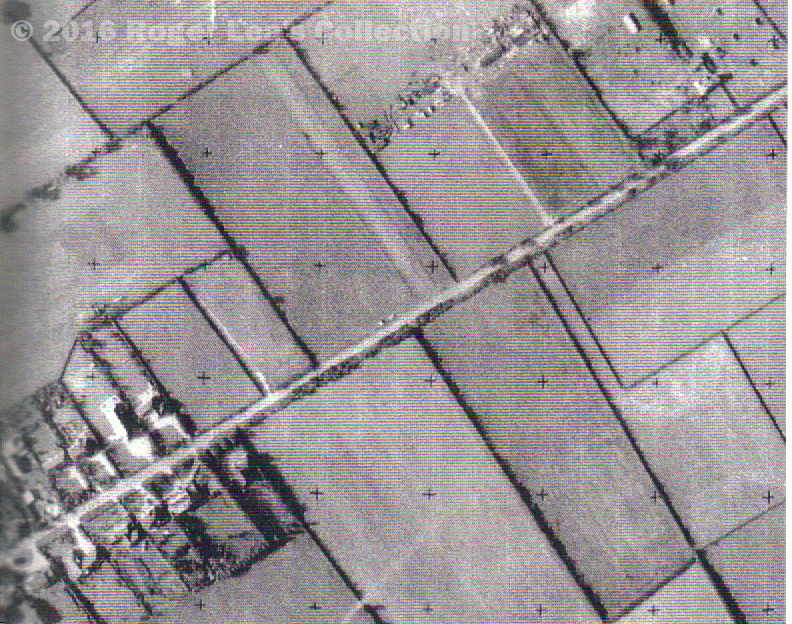 Aerial photo of Hillwood Common Road c1960, showing the rectilinear hedges and roads of the enclosure landscape. The roadside hedges were the responsibility of the owners of the fields - each field had a different owner. Walsall Road, an enclosure road. Oak trees were planted in the hedge - the hedge has been removed, the oak trees remain.